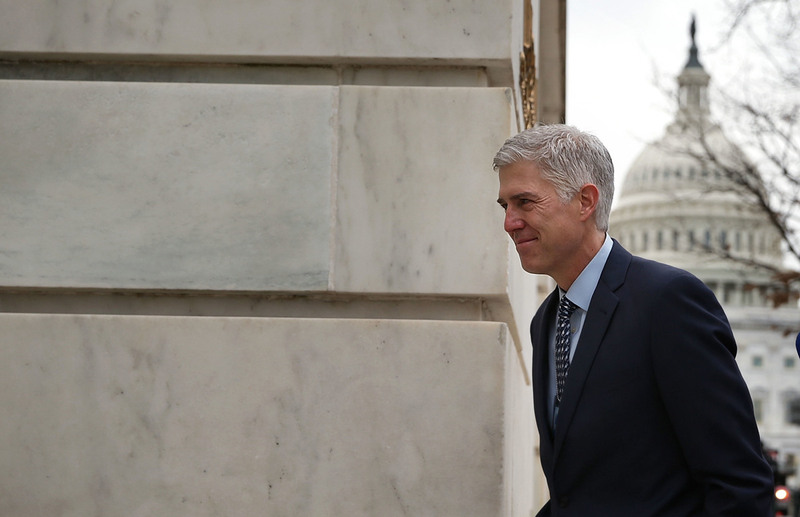 Supreme Court Nominee Neil Gorsuch Skeptical Of Federal Agency Power Judge Neil Gorsuch has said deferring to agencies is an abdication of judicial responsibility. He is expected to be grilled on this at Monday's confirmation hearings. But senators are also likely to spend a lot of time examining the nominee's views on federal regulations — of the environment, health and safety laws for workers, and laws on consumer rights and business. The Chevron decision is perhaps the most cited case in American law. Decided unanimously in 1984, it established a general rule of deferring to an agency's reasonable interpretation of a statute. The idea is that in passing a law, Congress sets out broad provisions and tells agencies that have considerable expertise to establish rules for carrying out the law's mandates. In short, the agency is to fill in the details. Back then, the Supreme Court ultimately sided with the Reagan administration and EPA Administrator Gorsuch, declaring that where a statute is ambiguous, the courts should defer to an agency's reasonable interpretation. "An agency might want Chevron deference when it wants to regulate more, but under the Trump administration, agencies will want to claim Chevron deference when they're trying to deregulate," Adler says. Many Gorsuch defenders argue that having someone on the Supreme Court who is less deferential to agencies should reassure those who don't trust the Trump administration. Mincberg has looked at all of Gorsuch's dissenting opinions on the appeals court. "Any judge's dissents are particularly interesting because dissents are essentially written for yourself and express your point of view, and they show where you disagree with your own colleagues," Mincberg says. "In Gorsuch's case, even though the 10th Circuit until fairly recently was a majority Republican circuit, Gorsuch is consistently to the right of even staunch conservatives." "Neil Gorsuch is being chosen not because he's a Republican Party hack. Far from it," Hasen explains. "He's a principled conservative, but the way he's going to vote is going to line up with what Republican partisans want."